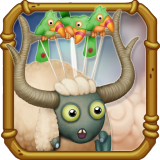 Quibble is a breedable hybrid monster with the Air and Water elements. 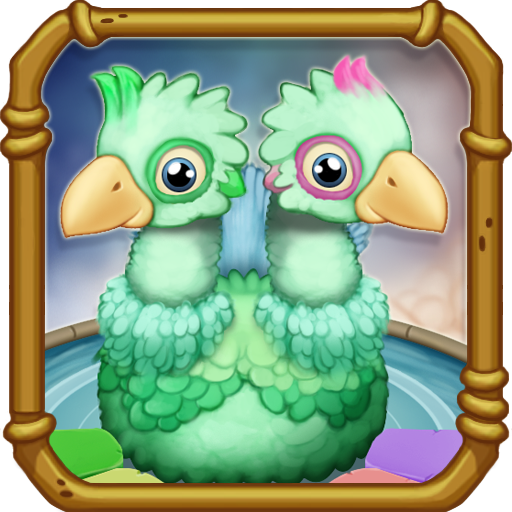 To breed Quibble use a combination with Air and Water, such as Tweedle + Toe Jammer. 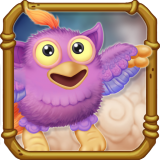 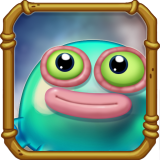 Endlessly asking questions, the Quibble hatchling is filled to the brim with wonder. 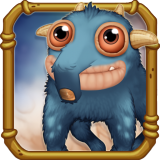 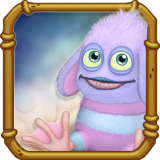 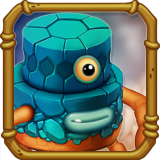 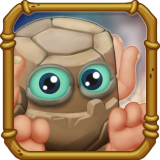 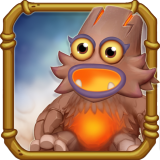 Monster put considerable effort into scavenging resonant rocks for the developing Quibble, as a colorful keyboard is the only thing that will distract it from its constant queries. 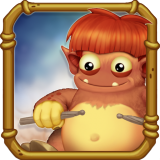 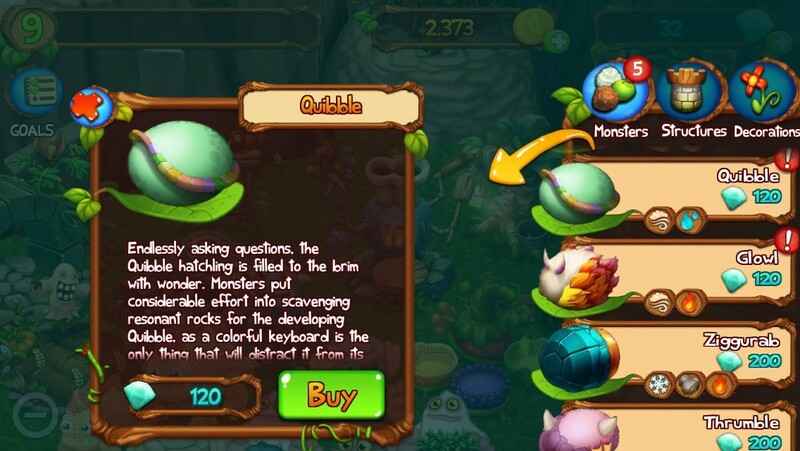 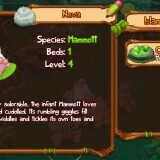 Quibble can be bought from the Monsters menu for 120 Gems.